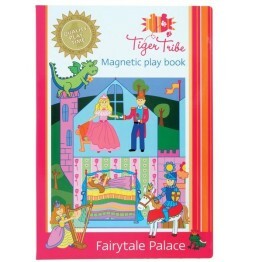 Tags: activity-toy, dolls-house, ever-earth, fairy, wooden-toys. 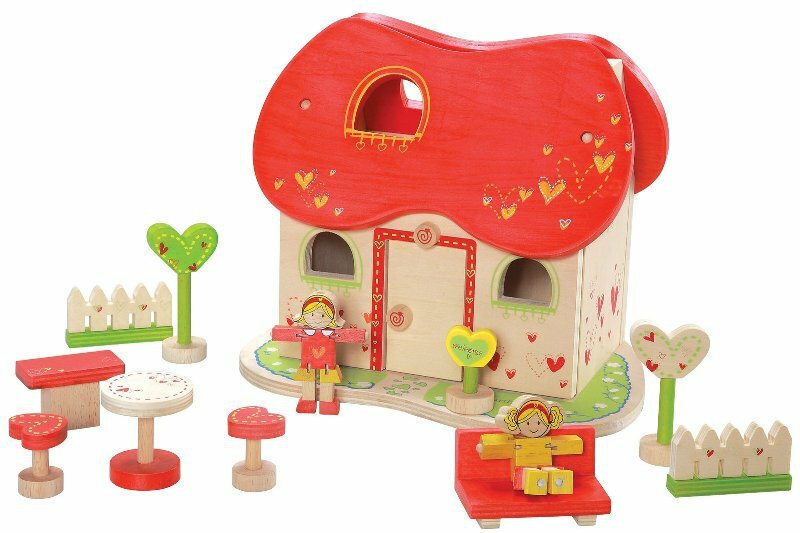 The EverEarth Wooden Fairy Dolls House is tactile, colourful and helps to learn about shapes, as well as being really cute! 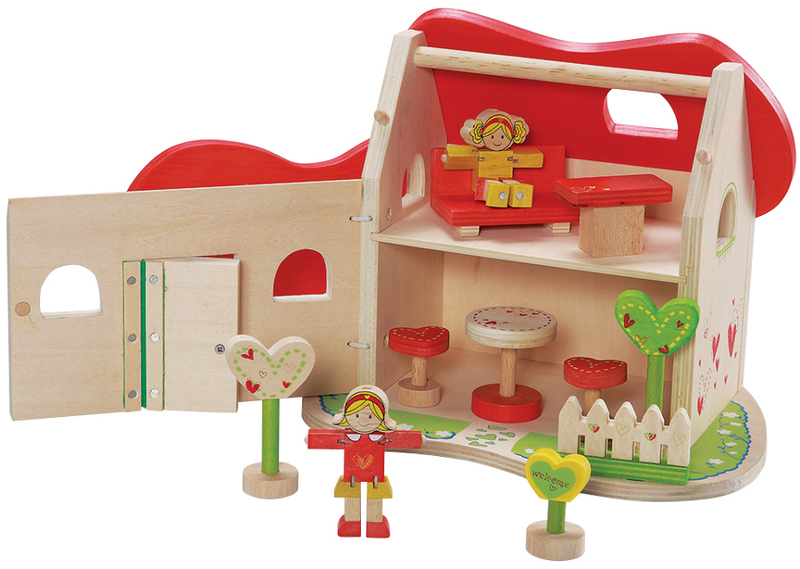 The charming, detailed doll house inspires any child’s creativity as they play out the stories they imagine. Includes two wooden dolls, trees, welcome sign, table and chairs, sofa, fence and front opening facia with lift-off roof for easy access. 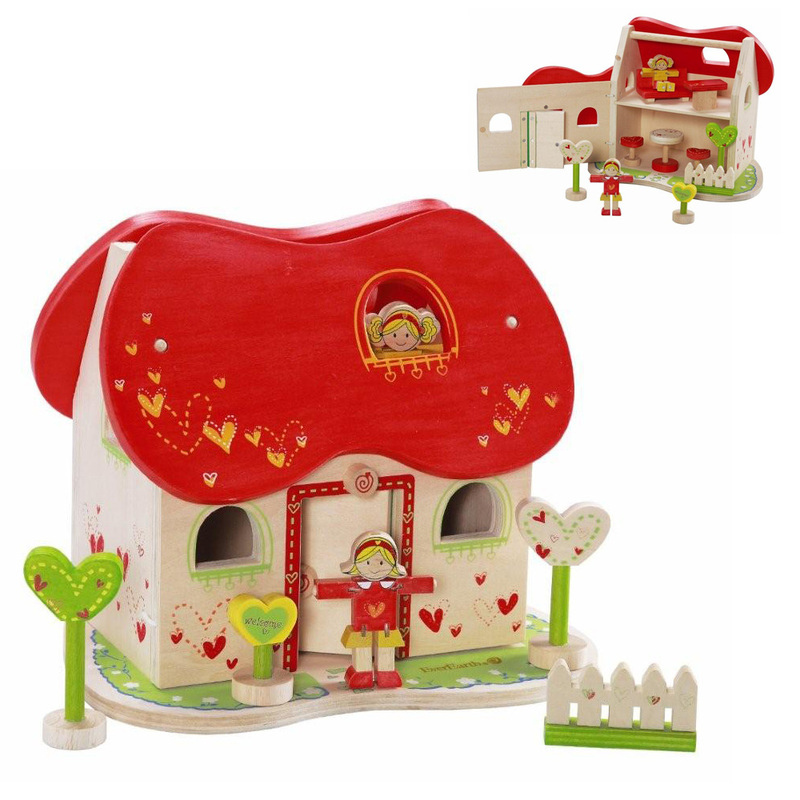 The EverEarth Wooden Fairy Dolls House makes the perfect gift!